Mei Lanfang was born in 1894 to a family of Beijing Opera performers. At the end of the Qing Dynasty, the social status of opera performers was no better than that of prostitutes. Although Mei Lanfang¡¦s grandfather, Mei Qiaoling, was appreciated by the court, he had to perform on stage half-naked because he played the roles of women. After he satisfied the audience, what he got was disdain. Mei Langfang grew up in such a family and, like his grandfather, he also played women roles. Mei Lanfang's uncle told him that there was a punishment in the court which yoked the erred actors with a paper cangue and made them hold level a bow of water with their enclosed and raised hands. Whoever broke the cangue would be clubbed to death. A paper cangue became the symbol of the opera artists. They were subject to the possibilities of being killed by all kinds of "clubs", and Mei Lanfang was one of them. 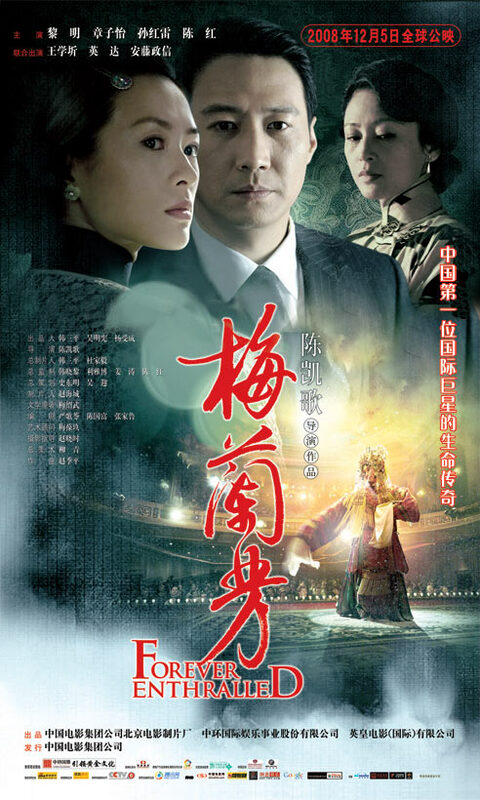 Leon Lai plays the late Peking opera master Mei Lanfang. Ziyi Zhang plays Mei Lanfang's fellow singer, Meng Xiaodong. Japanese actor Masanobu Ando performs as an invading army officer obsessed with opera. Mei Lanfang (1894-1961) is well known for having stood up to the Japanese occupiers in 1937, who liked his art but for whom he is said to have refused to perform. Due to actress Gillian Chung's involvement in the photo scandal centered around actor Edison Chen, all of her scenes were cut from the theatrical release of Mei Lanfang. nominated for "Best Newcomer" / "Best Film" / "Best Supporting Actor"